Born on July 12th, 1979 in Vienna, Austria. After graduating from the University of Vienna with a degree in communication, Lukas Mandl worked as lecturer, writer and speaker. He is the initiator of “Rot-weiß-rot in Europa” as well as founder and chairman of the cross-party operating Austrian-Kosovar friendship association. 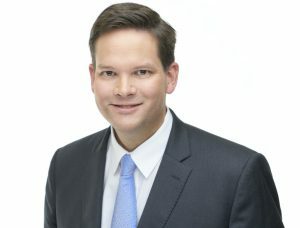 Lukas Mandl started his political career in the pupil representation Schülerunion in 1998. In the year 2003, he was chair of the Austrian youth association (Bundesjugendvertretung). From 2008 to 2017 Mr Mandl was member of the regional Parliament of Lower Austria and chair of its committee on European affairs. He was Secretary General of the Employees’ organisation of the Austrian People’s Party from 2010 to 2012. From 2015 to 2017 Lukas Mandl was also vice mayor of his hometown Gerasdorf. Since June 2017 Lukas Mandl is vice president of the Assembly of European Regions and since November 2017 Member of the European Parliament. Lukas Mandl is married and father of three children. His mother is Dutch and his father Austrian.